The Cloudsplitter 100 will take place on High Knob, deep in the heart of Central Appalachia, during the weekend of October 13-14, 2018. High Knob is located at the highest point in the Cumberland Mountains at an elevation of 4,223 feet above sea level. The 100 mile course, as well as the accompanying 100k, 50k and 25k distances, will wind along rugged, rocky and remote trails within Jefferson National Forest. Although parts of this region have been developed, strip mined or heavily logged, High Knob remains relatively untouched, and it is home to some of the greatest diversity of plant life in the Commonwealth of Virginia, making it a true ecological treasure. The unique trails on High Knob pass through dense forestland dotted with cliffs, water crossings, waterfalls, rock shelters, rhododendron thickets, caves and enormous sandstone boulders. This is one of the more physically demanding trails in the East, and it remains a significant unprotected wilderness area. 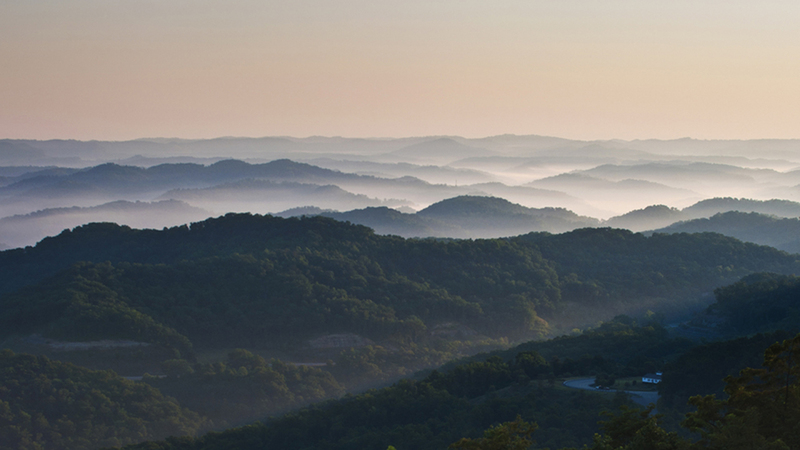 On a clear day, four other states can be seen from the High Knob summit: West Virginia, Tennessee, Kentucky and North Carolina. Due to the difficulty of the 100 mile distance, the cutoff time will be 40 hours. The race will begin and end in Norton, Virginia, at the Norton Farmer's Market.